Square was created in 2009 by Jim McKelvey and Jack Dorsey in San Francisco, CA. And if the name Jack Dorsey sounds familiar, it’s probably because he is also the co-founder of Twitter, the popular social media platform, and today has a net worth of nearly $3 billion. The story goes that Dorsey’s friend at the time, McKelvey, was a glass artisan who lost a $2,000 sale to a customer because he had no way of accepting credit card payments. Dorsey and McKelvey thought at the time, well that’s just crazy; in this day and age of smartphones and technology, anyone should be able to accept a credit card payment. And so Square was born. When Dorsey and McKelvey started Square, they had no financial experts on their team. What they did have was vision, foresight, experience in internet technology, and a great idea. Apparently, that was enough. In the pair’s initial round of fundraising, they raised $10 million. The company launched its first product, Square Reader, a small plastic dongle (device) that can be inserted into the port of an Android or iPhone. It was initially released to a pilot audience of 50,000 people, and in 2010, released to the greater public. In 2011, Square launched 2 additional products: Square Wallet (which no longer exists) and Square Register, a fully integrated point of sale with hardware, software, 2 touchscreen displays, and no need for apps or tablets. The company has continued to develop a large variety payment products—some of which have been scrapped, and some of which have become wildly successful. 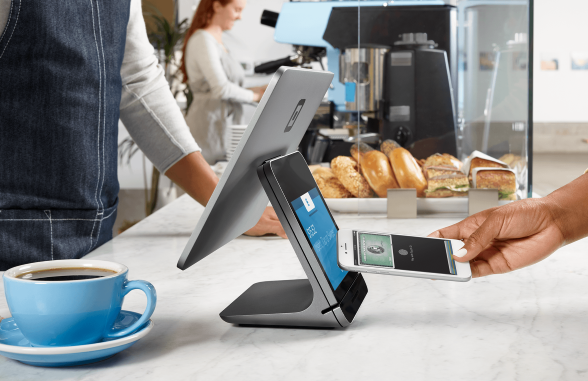 Some of the more successful products include Square Stand (for iPads), Square Cash (money sending), Square Market ( allows businesses to create their own online sites), Square Customer Engagement (CRM marketing tools), Square Payroll (an online payroll service for small businesses), and of course, Square Point of Sale (POS). 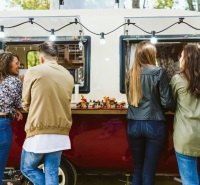 Today, Square is arguably the market leader for POS systems, and is especially popular for small and mid-sized businesses. In fact, Square set the standard so high upon its initial launch and subsequent popularity, that both PayPal and Amazon launched competing services, in 2012 and 2014, respectively. (Amazon’s POS shut down soon after its launch.) While there still remain other competitors, Square is still one of the most popular and convenient POS systems in the US. 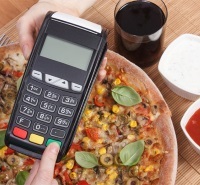 Dorsey has commented in the past that Square POS is a tool for both merchants and consumers. For merchants, obviously, it allows them to accept payments, and for consumers, it allows them the convenience of cash-free shopping and a simple and easy way to use their credit cards for daily purchases. All financial transactions completed using Square technology adhere to the PCI Data Security Standard (PCI-DSS). This means that all credit card information is encrypted using 128-bit SSL encryption technology, and is deleted once the transaction is complete. Square also works to prevent fraud and detect any suspicious credit card movement. Of course, while Square POS and Dashboard are free, sellers are still charged 2.75% per tap, dip, or swipe. This is a fairly competitive price, especially considering all of the free management tools that Square provides. Square Register is the hardware component of Square POS; it’s not necessary for all business owners but it certainly is useful. The register consists of 2 screens: 1 for sellers, 1 for customers. 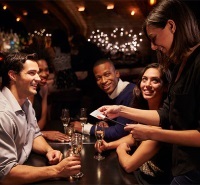 It also comes along with the intelligent POS software of the Square app. Square Register costs $999 or $49/mo for 24 months + 2.5% + 10¢ per tap, dip, or swipe. Businesses that earn more than $250,000 and have average tickets above $15 are eligible to receive a custom pricing package from Square. Square was built by two visionaries who wanted to help both businesses and consumers. It became a great way for small businesses to sell more and consumers to shop more conveniently. 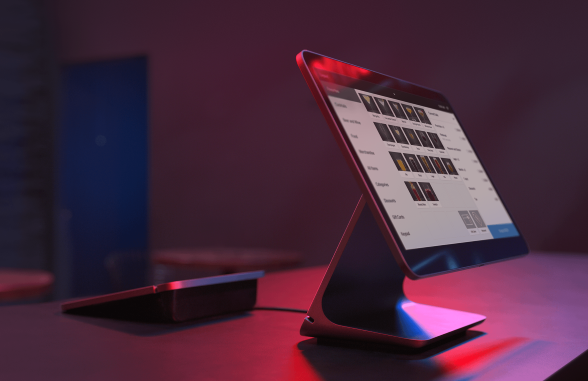 It began with a small device that could be inserted into any smartphone, and today has expanded into a variety of POS services, including an app, software, hardware, and more. Square is not what it used to be and has changed its image to a product that any business owner can get behind.